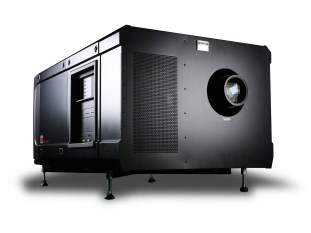 The QEnc – Soundproof projector enclosure. ProEnc have added a soundproof projector enclosure for indoor applications this sound proof enclosure has been added to their portfolio, for use in locations such as offices, tourist attractions, museums and even churches. Many of the above locations need almost silence, such as in church so the congregation can gather their thoughts and prayers for God, alternatively in a tourist attraction the last thing a tourist expects is to hear the drone of the projector. What makes ProEnc’s soundproof projector enclosure different? Using their 25 years of manufacturing expertise, ProEnc have developed a projector housing that can be used in houses of worship, tourist attractions, museums and even offices. Their range of projector housings are manufactured from steel and use a patent pending plenum to draw warm air out of the housing in to another room or ceiling void. The issue ProEnc had was they could not soundproof the steel enclosure whilst having their cooling system in it, as all apertures allow sound to exit the housing into the surrounding area, this is how they designed the new QEnc, Q standing for quiet. Each indoor soundproof projector enclosure is supplied with a roll out shelf for maintaining and cleaning the projector inside, with the access door being secured and can be fully removed for full, uninterrupted access for the engineers. Cable access is through the base of rear and even the shelf has a cable guide, so no cables get trapped when the telescopic tray is pulled out and pushed back for maintenance. Each protective soundproof projector enclosure is lined with high tech acoustic insulation that is new to the market and can reduce sound from projectors by as much as 50-60%. This is not the standard acoustic insulation you get online. The product ProEnc use is chemically bonded to the painted metal, ensuring it stays in place for years to come. ProEnc offer a metal frame that bolts to the base of the Qenc, providing total rigidity and maximum strength, allowing any audio visual installer to fit these directly to walls, from ceilings and even from floors at an angle. This frame does not affect access at all and also offers an anti-vandal element to an installation for areas that are not manned 24 x 7. ProEnc’s range of sound proof enclosures. All the above come with ProEnc’s standard warranty of 3 years on parts and the enclosure. If you have a project and wish to discuss it with ProEnc, they would love to learn of your past success in this area and see how they can help you with your new project. Contact ProEnc on their European number +44 (0) 843 2893717 or for all US and Canadian inquiries contact (862) 234-5981 to discuss your soundproof projector enclosure requirement today.